MonkeyRewards are credits you earn when you refer new paying customers to Mailchimp. When you add the rewards badge to your email campaigns or signup forms, we track all clicks from your badge. When you send us a new customer, we add $30 in credits to your account and the new account of the person you referred. It's a win/win situation. In this article, you’ll learn how to add or remove the MonkeyRewards badge in your signup forms and email campaigns. 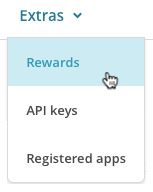 MonkeyRewards can only be applied to accounts if your friend or colleague signs up through your affiliate badge link. We can't make exceptions to this rule. So if your friend or colleague signed up and forgot to use the link, ask them to create a new account via the MonkeyRewards badge so you both get the credits. Both accounts need to be paid accounts before any Monkey Rewards can be redeemed. We require that all free accounts include a MonkeyRewards badge in email campaigns and signup forms. Free account users collect credits that can't be used until after they switch to a Monthly or Pay As You Go Plan. If you recently upgraded from the Forever Free Plan, you'll automatically have access to the credits you received for accounts that signed up through your affiliate link and that are also on a paid plan. If someone signed up through your affiliate link but are still on the Forever Free Plan, you will not see those credits in your account until they upgrade to a paid plan. If you have a Monthly or Pay As You Go account, you can remove the badge from individual campaigns or forms, or disable it for the whole account. MonkeyRewards have no cash value. They can't be redeemed or refunded as cash. They can only be applied toward Mailchimp purchases. You cannot transfer MonkeyRewards to different accounts. MonkeyRewards can only be used and redeemed by Mailchimp customers who are in good standing. If we have to shut down your account for any reason, you cannot use your MonkeyRewards. Ad campaigns and postcards aren't eligible for MonkeyRewards. 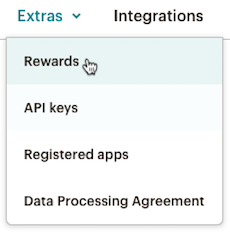 Mailchimp provides a few different style options for the MonkeyRewards badge that appears at the bottom of your signup forms and in the footer of your email campaigns. To set the default badge for your email campaigns and signup forms, follow these steps. Click the Extras drop-down menu and choose Rewards. Make sure the Show badge in campaigns box is checked. Under the Select your MonkeyRewards badges heading, click the Change Image link for the badge you want to change. In the Select an email campaign badge modal, choose the badge you want to use. Nice job! The badges you chose will appear by default in all of the email campaigns and signup forms in your account. Wherever the *|REWARDS|* merge tag appears in your email campaigns, we’ll replace it with your default MonkeyRewards badge. However, you can always change the look of badge in a specific campaign. To change how the badge appears in a specific email campaign, follow these steps. On the Design step, click the Design tab. Choose the badge you want to use in this email campaign. Great work! We'll use this badge in your email campaign, but your default badge will still be used on other campaigns unless you change it. When you create a signup form for a audience, it includes a MonkeyRewards badge by default. To change how the MonkeyRewards badge appears in a specific signup form or response email, follow these steps. In the Forms and response emails drop-down menu, choose the form or response email you want to edit. Click the Design it tab and choose MonkeyRewards. In the Image align drop-down menu, choose Left, Center, or Right to change the position of the badge. Click Change image to choose a different style for your badge. In the Select a signup form badge modal, choose the badge you want to use. You’re all set. Scroll to preview how the badge will appear in your signup form or response email. Our link embed code adds a MonkeyRewards text or image link to your website. You can also use the code to add a text link to your email campaigns. To add a MonkeyRewards link to your website, follow these steps. Scroll to the Link embed code. Copy the Text link or Image link code and paste it into the code on your website. The MonkeyRewards badge can be removed on Monthly or Pay As You Go accounts. 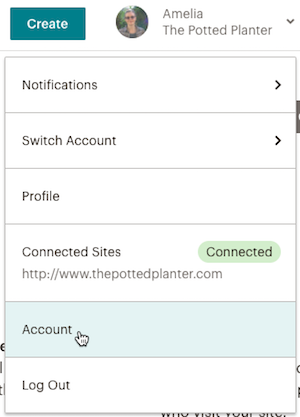 Emails sent from our Forever Free plan are required to include the Mailchimp MonkeyRewards badge in the email footer. After you disable MonkeyRewards on an account, new audiences and email campaigns that you create will no longer display the badge. The change won’t affect the forms and campaigns that were in your account before the badge was disabled. You can remove the badge globally or turn it off for specific email campaigns and forms. To disable MonkeyRewards on your paid account, follow these steps. Uncheck the Show badge in campaigns checkbox at the top of the page. After you make this change, your new email campaigns won’t include a MonkeyRewards badge. To remove the MonkeyRewards badge from a single email campaign, follow these steps. Click the Rewards Badge drop-down menu and choose Off. Now, your email campaign will no longer display the MonkeyRewards badge. To remove the MonkeyRewards badge from a signup form or response email, follow these steps. In the Forms and response emails drop-down menu, choose the form or email you want to remove the badge from. Now, the signup form or response email you chose will no longer display the MonkeyRewards badge. To view your rewards, follow these steps. 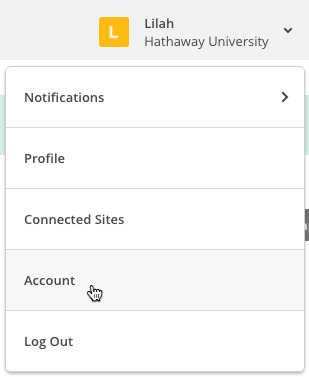 Click your profile name to expand the Account Panel, and select Account. Click the Extras drop-down menu, and choose Rewards.